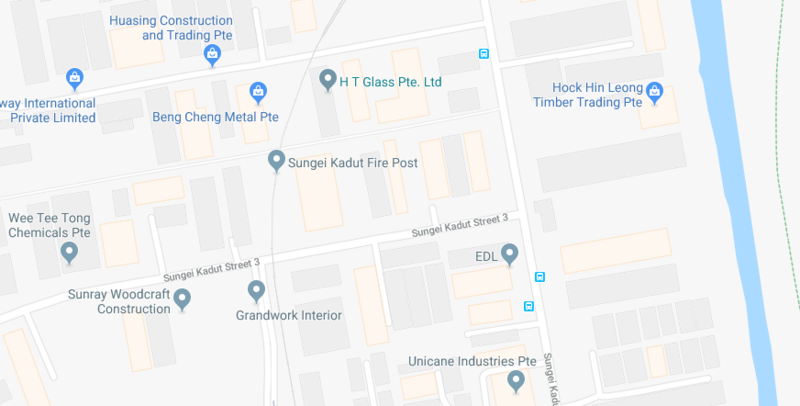 Sungei Kadut is a modern planning and industrial estate situated in the northern region of Singapore. It Sungei industrial estates are surrounded by the Choa Chu Kang and the Bukit Panjang planning area towards the southern region, the Johor Straights towards the northern side, Mandai conservation area towards the eastern side, Western water Catchment towards the western side and Lim Chu Kang towards the southwestern region. The Name Sungei Kadut originated from the Malay Heritage and language. The name Sungei was representing a river in the Malay language whereas Kadut referred to a delivery bag. In the early 1900s, most areas in Sungei Kadut was in the form of mangrove swamp which stretched all the way to the current Kranji Reservoir. The Japanese used the Sungei Kadut region as their first entry point region to Singapore during the Second World War. The Sungei Kadut Mangrove Swamp was later developed and converted to the current Sungei Kadut industrial site. Sungei Kadut started experiencing cognitive development activities from the early 1970s to late 1980s. Timber milling factories and furniture structures pounced across the whole Sungei Kadut estate. However, this developments was more of a disaster than a blessing to many people in Sungei Kadut as most of the milling and furniture factories used to house perishable combustibles goods that caused subsequently fire disasters in the area prompting the establishment of a fire station. The issue of fire outbreaks has continued to be a serious issue in the industrial estate in Sungei Kadut. Just recently fire outbreak forced the Mass Rapid Transit trains operating along the North-South MRT Line to halt their services for some few days. Sungei Kadut further witnessed the worth blaze in the region’s history on August 3, 2008, when several factories and warehouses filled with tires and several tons of woolen bales, wooden pallets, and tires caught fire which spread to nearby facilities causing an out of control Inferno. This fire disaster was huge that it required the services of more than 100 firefighters to put it off. Sungei region has a reasonable transport facility when it comes to transport network in the area. The Kranji Mass Rapid Tran Station is the only MRT station serving the North-South Line in the region. There are plans underway to establish a new MRT station between the Yew Tee Stations and the Kranji station in the region industrial estate. Furthermore, the region receives transport services from bus companies such as the SMRT Bus Company that operates in Industrial Estate, which operates and also ply the Choa Chu Kang and Woodland’s bus interchanges.